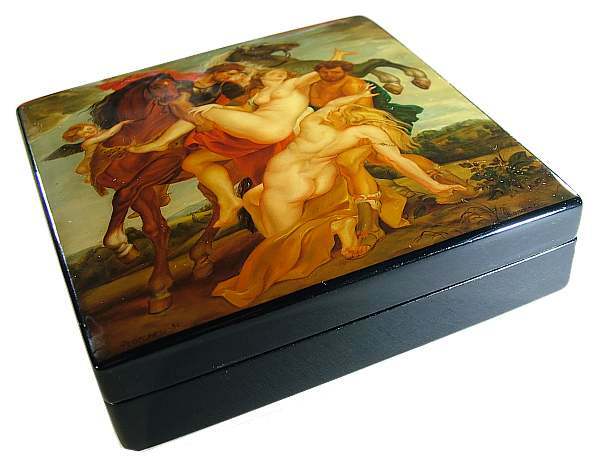 This box is based on a masterpiece art work by Peter Paul Rubens, which you can see here. 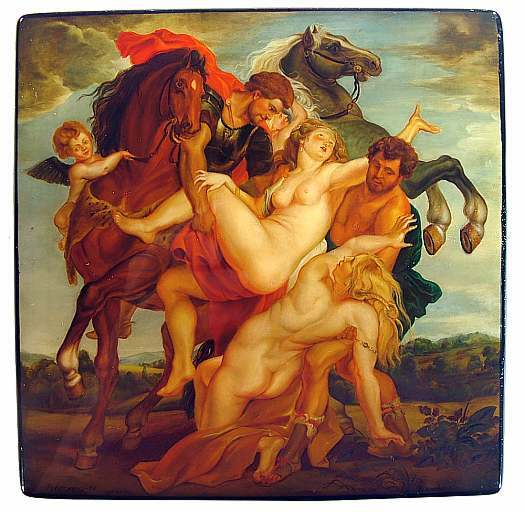 Scaling the large canvas painting down to miniature size may not have been the easiest thing to do, but Fedoskino artist O. Naimova did a masterful job with it, and you can compare all the details yourself. The box was done back in 1984 and looks as nice today as it did back then. The lacquer is in fine shape and there are no major flaws of any kind (though there is one very small blemish in the lacquer on the bottom right, but it is far from significant). The sides and bottom are black, the interior is red. The box is made out of high quality papier mache, stands on four small legs, and has a hinge. 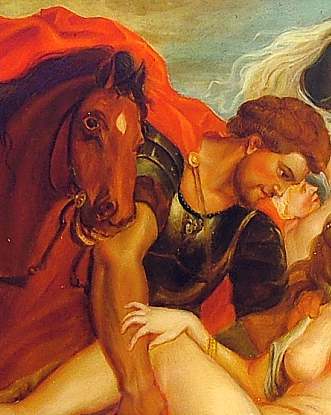 It is signed at the bottom of the composition with the name of the artist, village and year.